I recently had the honor to attend and represent McDonald’s and the Dallas Moms Blog at a lunch bunch event. You ask – what is a lunch brunch event? Well, it is a community of women – specifically mother’s and children that gather in the spirit of motherhood, friendship, and networking. 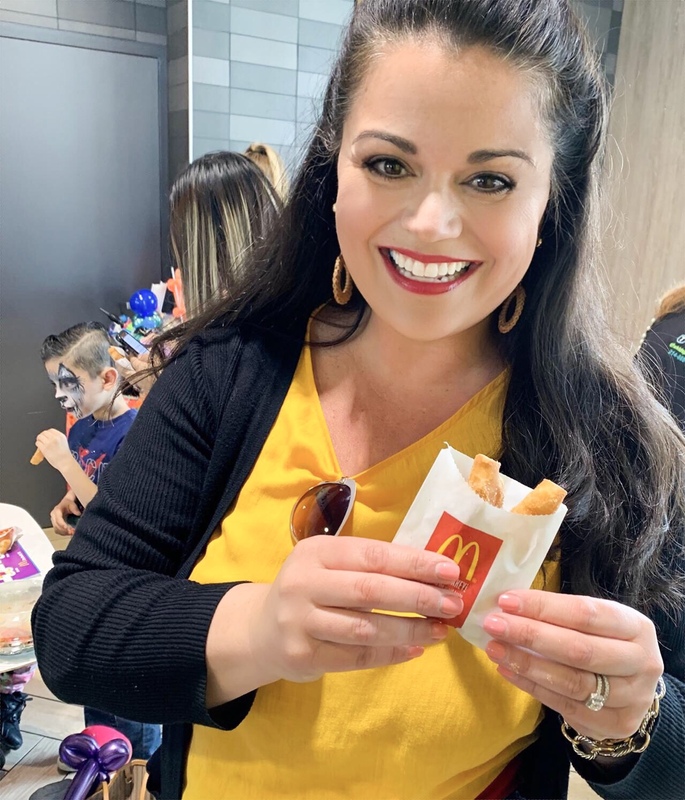 Our lunch brunch event was hosted at the Plano location (216 Coit Road) of McDonald’s and in March, McDonald’s celebrated Women Operators and the launch of the donut sticks. More importantly, we got to test the new Donut Sticks and they are every bit as delicious as you would anticipate. They are very light and flavorful. You get six donut sticks in each serving, that are a golden brown and coated in a cinnamon sugar coating. A common and inexpensive breakfast would be a cup of coffee and donut sticks for as little as $2. You heard me right. That is a steal of a deal. If you don’t already know, McDonald’s has been a category leader in breakfast since 1971. With the addition of this new tasty treat their McCafe line continues to grow and wow customers. Along with food, the lunch bunch event provided McDonald’s swag and they had a balloon artist and face painters for the kids. My daughter loved both so much. She was a pink monster with a princess sword. hahaha! I love her imagination and feistiness. I met several women and their children. They were all business owners with incredible stories. One mother home schools her two children and runs a successful blog. You can find Janet here. Another mom is one of the local pioneers of blogging and has a successful PR business and remains extremely active in the community. Read about Autumn here. We had the privilege of meeting and hearing the story of the lunch bunch event location’s owner, Rochelle Hernandez. She and her family own 22 locations and have an amazing story on how they have grown and succeeded over the years. Their umbrella of businesses is JSP Management and they are every bit as professional and friendly as you would expect. Rochelle lost her father several years ago and her mother wanted to take on the role as owner/operator of McDonald’s. She had a friend that had lost their spouse before and went to McDonald’s corporation to appeal the process and allow women the right to be owner/operators. They attended McDonald’s University and continued to grow their business. Watch this video below to see what Rochelle had to say. It is truly remarkable that these women built a community of support and strength and took on such a large organization to pave their way. I also admire how McDonald’s saw a need for change and acknowledged and expanded their practices. They are an amazing company that does so much good in the communities they serve. 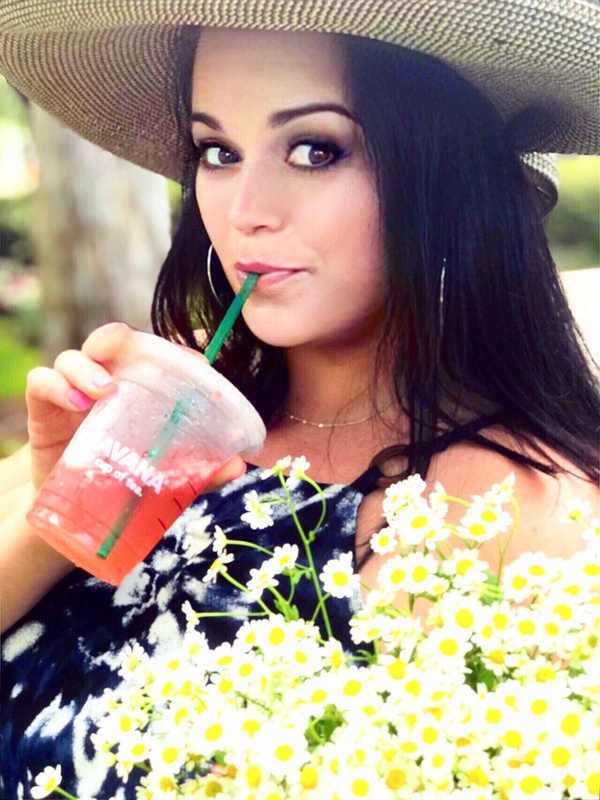 Not only does their food leave a lasting impression, but so does their philanthropy from the Ronald McDonald House Charities to the scholarships they distribute each year. It is no wonder they are an industry leader! To learn more about McDonald’s and their brand, charities, community involvement, and educational commitment click here. I along with McDonald’s will be attending quarterly lunch bunch events through 2019 and hope to see you there. Don’t worry, I will keep you in the loop with those dates, times, and topics! Until next time friends – don’t forget to pick up some donut sticks for breakfast!